Doing your taxes might be complicated, but thankfully filing for an extension can help give you some more time to prepare. There are many decisions to be made when preparing your taxes, such as whether you should itemize or take the standard deduction, and finding out how new changes to the tax code affect you. If you need more time to figure these things out, simply fill out an IRS Form 4868. This is the Application for Automatic Extension of Time to File U.S. Individual Income Tax Return, and you can submit it either in paper form, online, or through a tax software program. It’s free and most people who request an extension are granted one. If you’re granted an extension, the new deadline is October 15th. Americans living abroad automatically have a six month extension. While it’s easy to get more time to file your taxes, this doesn’t mean you get more time to pay your taxes. You still have to estimate how much you owe in taxes, and pay that full amount by April 15th. April 15th is also the last day to contribute money to an IRA, so if you have an IRA don’t forget about this important deadline. If you don’t send a payment by April 15th, you could get hit with a penalty, even if you didn’t realize you owed the IRS money. For the 2018 tax year, if you fail to pay less than 80% of what you owe in taxes, you will owe an additional penalty of 5% of the amount you owe per year, compounded daily. You would normally incur the penalty if you failed to pay 90% of what you owe, but because of the changes to the tax code, the IRS is being more lenient for the 2018 tax year only. Note that the penalty for failing to file your taxes is much more severe than the penalty for failing to pay. The penalty for failing to file or request an extension is 5% of the unpaid amount per month, up to 25%. So, even if you cannot pay your taxes by the deadline, you should definitely still file or file for an extension to avoid this steep penalty. Doing your taxes can be stressful, and tax minimization strategies can be complicated. 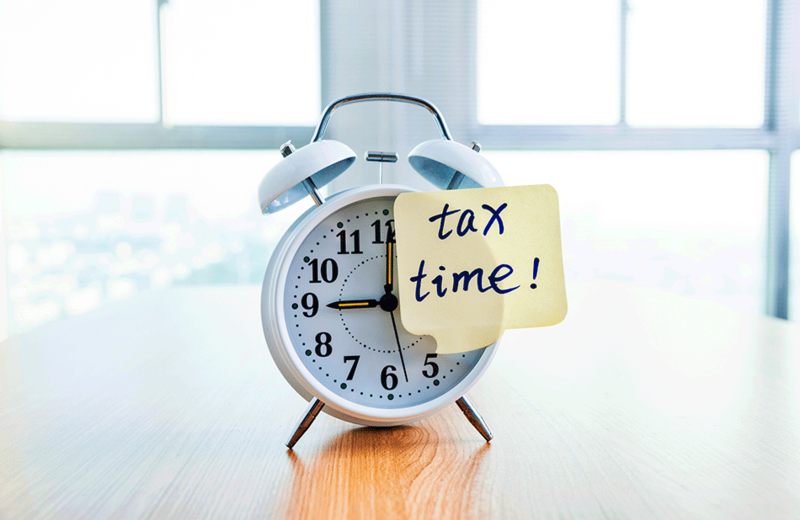 If you need more time to consult a professional as to what deductions you’re qualified to take, whether you should itemize or take the standard deduction, or how the changes to the tax code affect you, contact the professionals as Epstein & White. Click here to schedule your no cost, no obligation financial review.